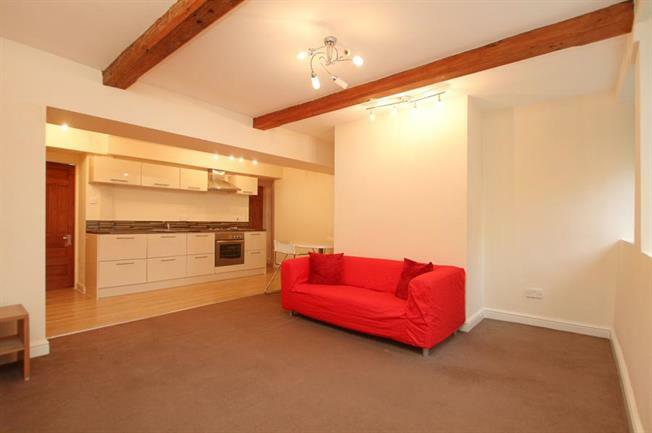 1 Bedroom Basement Flat For Sale in Sheffield for Guide Price £115,000. An extremely rare opportunity has arisen to purchase this truly unique one double bedroom basement floor apartment which is part of this beautiful Georgian style conversion. The property benefits from having its own entrance, gas central heating, majority double glazing, beautiful period features, modern gloss fitted kitchen, large lounge, large double bedroom, modern family bathroom, utility room which offers the opportunity for a further bedroom, no onward chain and a truly charming low maintenance garden area. The property is ideally located for Sheffield City Centre, the universities, Hospitals and superb transport links. An early viewing is essential in order to appreciate the level of accommodation on offer.